Started at the Alta guard station ascending to Cardiff pass, continuing along the ridge to the Eyebrow for a look and see the descending through the Keyhole into main Cardiff. Ascent was to just below the exit of the main chute with a descent to the flats. I skinned up again, this time onto the ridge and the top of the ridge descending the main chute. Traversed to the south and upwards till gaining the climbing track into Cardiac bowl. 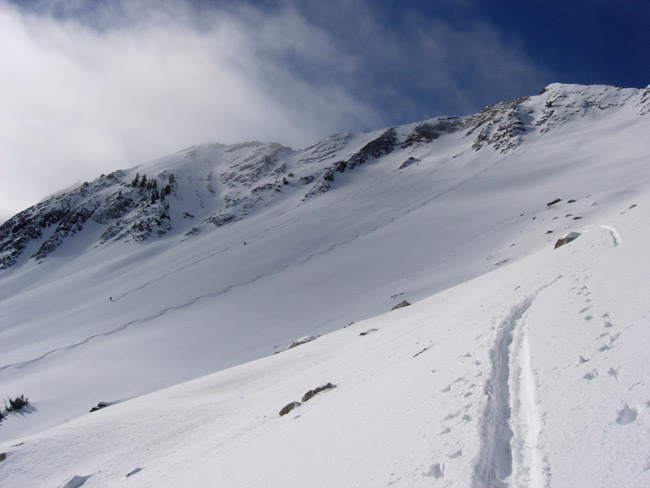 Ascent was up the common route, then up the skier's right chute eventually switching, near the top, into the left chute to summit Superior. Descent of both pitches with a mid run traverse for more filled in easterly facing. Ascent was up the shoulder of the eyebrow, traversing across Cardiff bowl and descending the south facing back to the guard station. It was another bluebird day in the morning, with a band of upper elevation pesky low clouds providing flat light with decreased visibility for much of the mid day into late afternoon. Drying out with some evident faceting continues on the shady aspects, with sun crusting including a bit of wet activity, on the sun exposed. 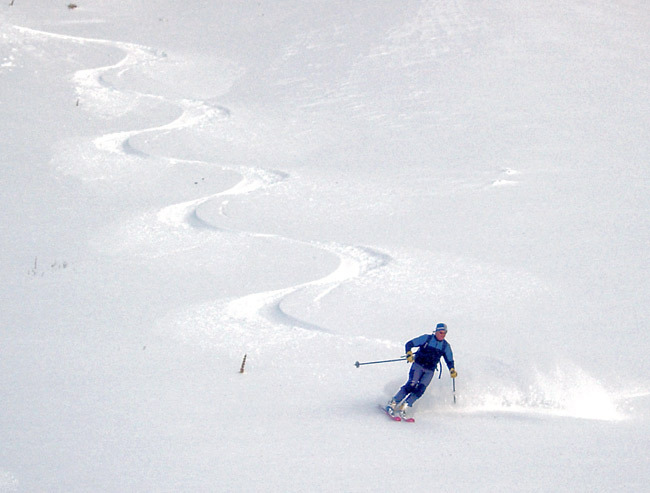 Skiing is improved as the dense crust begins breaking down. 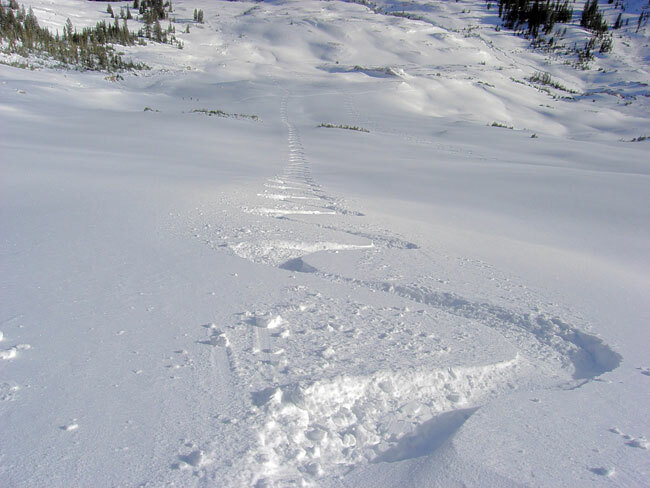 Because of the wind effect during the storm there are patches of rime crust, less surface snow, thicker wind crusts etc, but for the most part the snow is dense graupel powder and consistent skiing. The starting zones are somewhat different. Cardiac ridge has less than 2 feet in scoured areas and it is faceting. 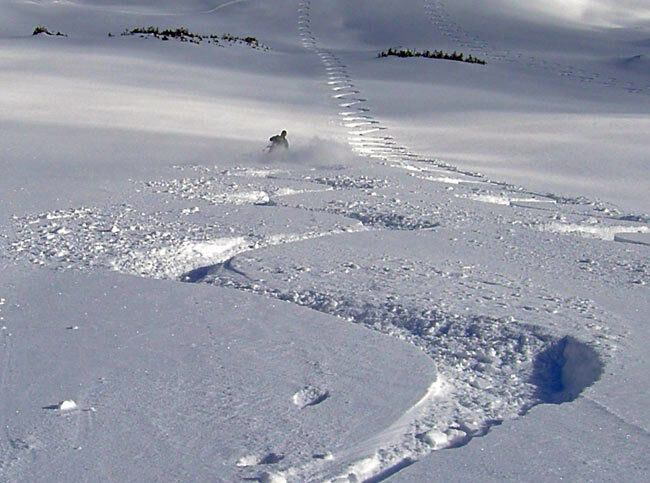 The loaded upper main chute has a very stout hard slab wind crust of a few inches with probably 4 feet+ of snow. 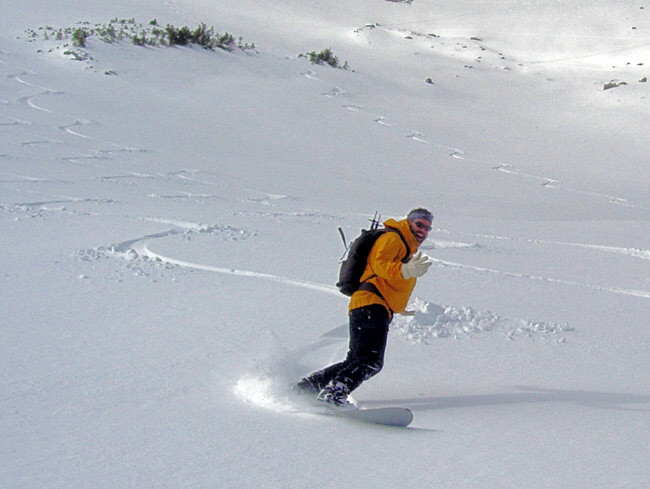 The chutes in the bowl are for the most part scoured off the ridge with the stout wind crust down off the ridge. Snow is for the most part stable with any lingering tension easing under the recrstalization process. The sunny aspects are melting slowly at present.